Jörg Kienitz is Partner at Quaternion Risk Management. Prior to this he was Director, Assurance FSI at Deloitte Germany and Head of Quantitative Analytics at Deutsche Postbank AG. He is currently running projects on model validation as well as the implementation of mathematical methods for risk management and exposure calculation. He also holds an adjunct professorship at the University of Cape Town (UCT) and lectures on Computational Finance at the University of Wuppertal (BUW). 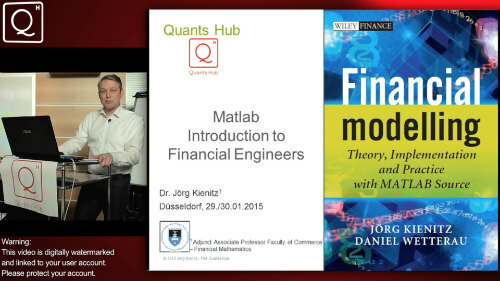 Jörg is a speaker at a number of major quant finance conferences including Global Derivatives and WBS Fixed Income. His books "Interest Rate Derivatives Explained I + II" appear with Palgrave McMillan and "Financial Modelling" with Wiley.